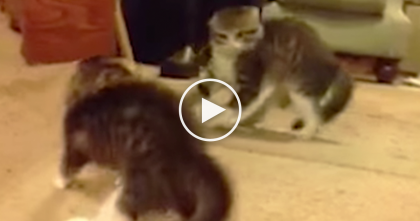 This adorable kitty has a real bedtime routine that includes everything from a special bed made just for her and a blanket… Oh and don’t forget her favorite stuffed animal! 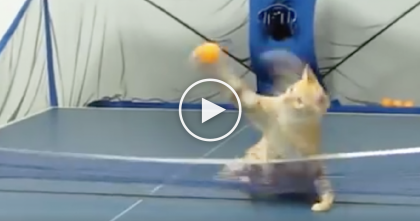 Most cats sleep just about anywhere, but this kitty loves her bed and tucks herself in every night and snuggles under the covers – It’s SOO cute and funny, what a spoiled kitty!! 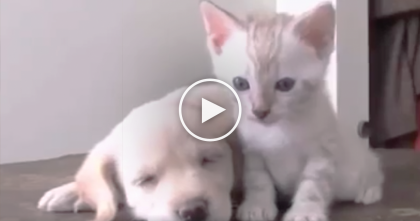 Kitten Discovers The Puppy, But Watch What Comes Next… It’s The CUTEST Thing Ever, Omg!! 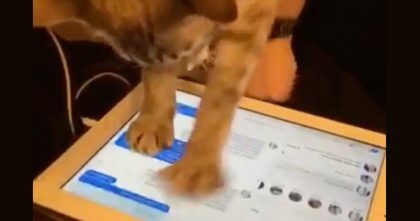 Watch Cat Trying To Catch Up On All The Messages… The Results Are Hysterical, Hahahaha! !